NBC Bay Area joins Berkeley Humane for a grand pet adoption event, Bark (& Meow) Around the Block! 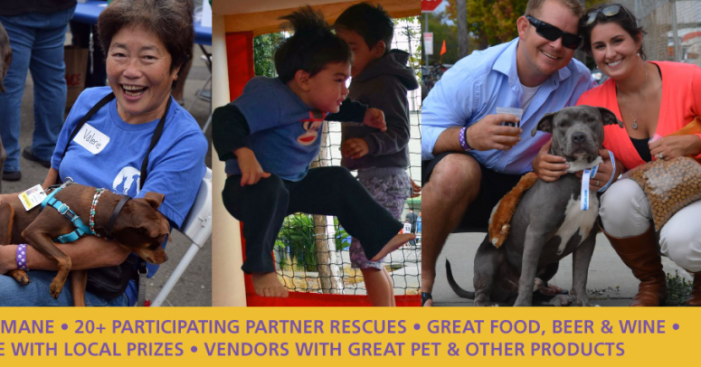 A street fair and adopt-a-thon, you'll enjoy live music, great food, beer and wine from local restaurants, breweries and winers, fun and games like a raffle with local prizes, and vendors with great pet products, all while in search of the perfect dog or cat to welcome into your home. From 10:00 AM to 4:00 PM on Saturday, August 15, 2015, there will be over 20 different local partner rescue organizations on site with over 100 adoptable animals. The goal is to get every animal adopted and into a loving home. Adoption fees will be reduced. Well-behaved dogs and fearless cats on a leash are welcome. Bark (& Meow) Around the Block is a part of NBC's national adoption effort, Clear the Shelters 2015.